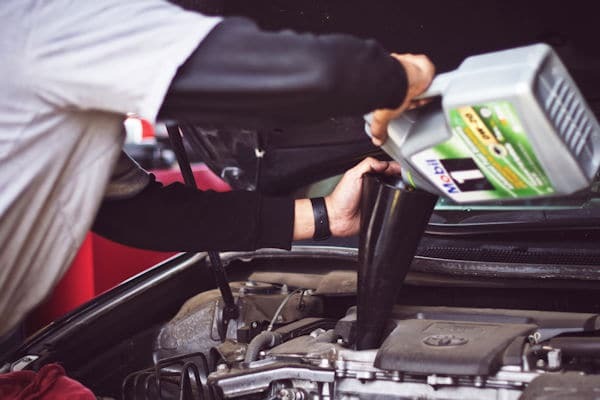 If you’re interested in fixing and repairing cars and getting your hands dirty under the hood, you may have noticed that cars have become more complicated in the last few years. There are significant differences between modern engines and older models, but does an increase in complexity mean that it’s no longer possible for enthusiastic amateur mechanics to give home repairs a go? Is It Still Possible To Repair And Fix Up Your Own Car? If you broke down on the side of the road, what would you do? Most people would at least take the time to pop open the hood and have a look. Even if you’re not well-versed in mechanics, you may feel that it might be possible to spot something out of the ordinary. The key lies in the next step. Do you try and fix the problem yourself, or do you enlist the help of the pros? In years gone by, we tended to be much more self-reliant when it came to cars. With the help of a manual and a hearty dose of intuition, it was possible to repair most issues. Today, society as a whole is less inclined to go down the DIY route. This could be down to the fact that modern cars are more complex, but time, effort and convenience may also play a role. Many people don’t have the time or the inclination to give it a go, and it’s not hard to find somebody who can help in this day and age. One call on your mobile, and you can enjoy peace of mind that a proverbial knight in shining armor is on the way. If you’re approaching a problem with the engine with an untrained eye, it’s natural to call for help. You want to get moving as quickly as possible, and you’re probably fairly confident that you won’t be able to fix the issue yourself. If you are interested in cars, however, are you still inclined to have a go, or have you been put off by the evolution of cars and the cutting edge technology that underpins their inner workings? Has continual technological and design development made it impossible for keen amateurs to indulge their passion? It’s difficult to provide a solid answer to this question, but it’s probable that most eager home mechanics would still make a good fist of working on their own vehicles. If there’s an odd noise or a slightly suspicious smell, there’s no harm in having a look, seeing what’s what, and trying to figure out a solution. In fact, today, it may even be easier to carry out home repairs or improvements as a result of the availability of resources like video tutorials and troubleshooting websites and developments in technology and tools used for repairs. If you’ve got an old-school mindset, and you’re not willing to give up the ghost just yet and rely on trained, experienced mechanics, there’s a wealth of useful information and resources that can benefit amateurs. The Internet is an amazing font of information for those who have an interest in working on cars. If you’ve got a question or a query, you can use a search engine to find answers in a matter of seconds. You can access vehicle information provided by manufacturers, but you can also engage with other home mechanics online via forums. This can be incredibly useful if you’re looking for advice on how to tackle a specific project. If you type an entry into an online forum, you may stumble across somebody who has already been in that boat, or you can interact with others who have pearls of wisdom they want to share. It’s also possible to follow online tutorials via sites like YouTube, which are great for practical repairs. It’s much easier to understand what needs to be done by watching a video than reading a page full of text or trying to decipher a series of complex images. Advances in technology and the availability of tools also helps enthusiastic amateurs. While some jobs may be off-limits for those with the relevant experience and qualifications, if you’ve got the right tools and access to the right information, there’s no reason why you can’t continue to work on your car at home. Modern cars are undoubtedly more complicated than the models of old, but this doesn’t necessarily mean that they are off limits for home mechanics. If you enjoy working on cars, with the right tools and access to information online, there’s no reason why you can’t continue to indulge your interests.